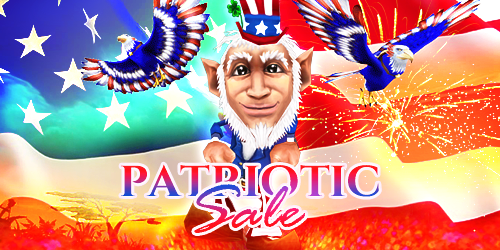 Just in time for the Fourth of July festivities, the Patriotic Sales have returned to Wizard101 and Pirate101! The Patriotic Leprechaun pet and Soaring Eagle mount are back in the Wizard101 Crown Shop, and the Soaring Eagle mount is making its way into the Pirate101 Crown Shop for the first time. Now through Thursday, July 6th, in Wizard101, and Sunday, July 9th, 2017, in Pirate101, your Wizard and Pirate can save up to 50% off select red, white, and blue themed items in the Crown Shop. This sale includes mastery amulets, mounts, companions, pets, houses and more! 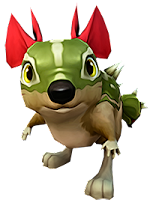 Also, be sure to check out the brand new Red Cactus Hopper pet in the Wizard101 Crown Shop! Don't miss out on these limited time festive, patriotic items and show off your red, white and blue!